WACO, Texas — After defeating Notre Dame in an exciting game that came down to the final seconds on April 7, the Baylor Lady Bears are national champions for the third time in program history. Their celebration isn't slowing down. The Lady Bears' "Parade of Champions" rolled through the streets of downtown Waco Thursday. 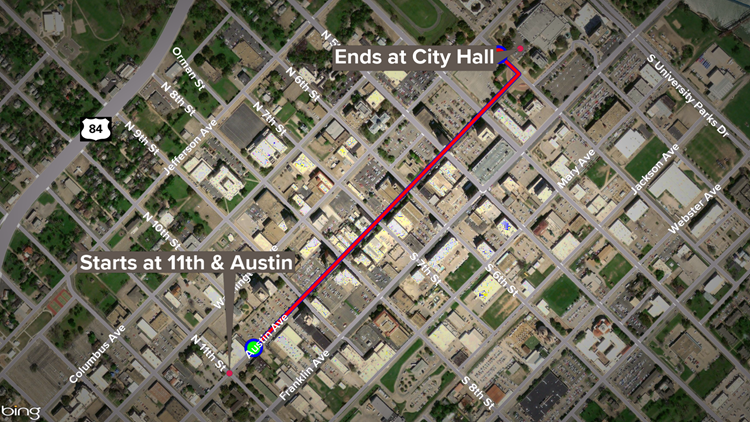 The parade, speeches, team autographs, the KCEN Channel 6 team was there for it all! The ladies were escorted down Austin Avenue from 11th to Third Street in style. Each of the players rode in brand new shiny Corvettes. Following the parade, a championship ceremony was held in front of City Hall. It included a proclamation from the City of Waco and speeches from the Lady Bears, Baylor University and local officials. Then the ladies signed autographs for about an at the Waco Hilton. The KCEN Channel 6 team is so proud to be covering these talented women.